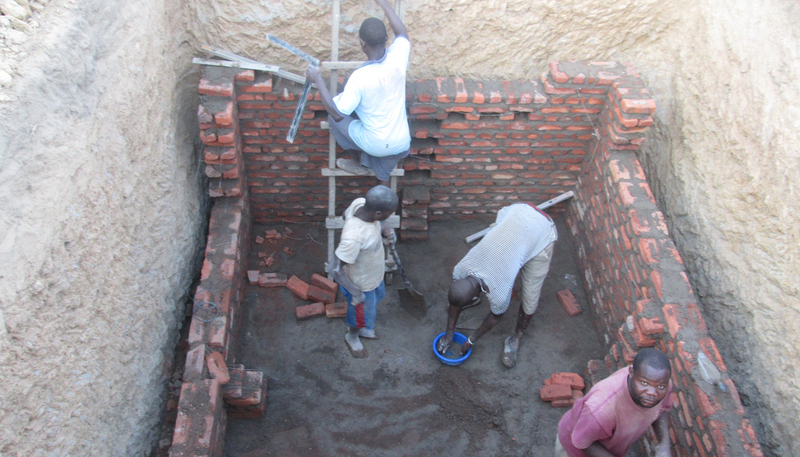 These are not just any toilets we’re building - they’re toilets for girls. The reason this is exciting is because not having toilets plays a big part in girls dropping out of school. These new ones are clean, have good facilities, and give the girls all the privacy they need. That means the girls can continue with their education all the way through, giving them more opportunities and hope for their future. 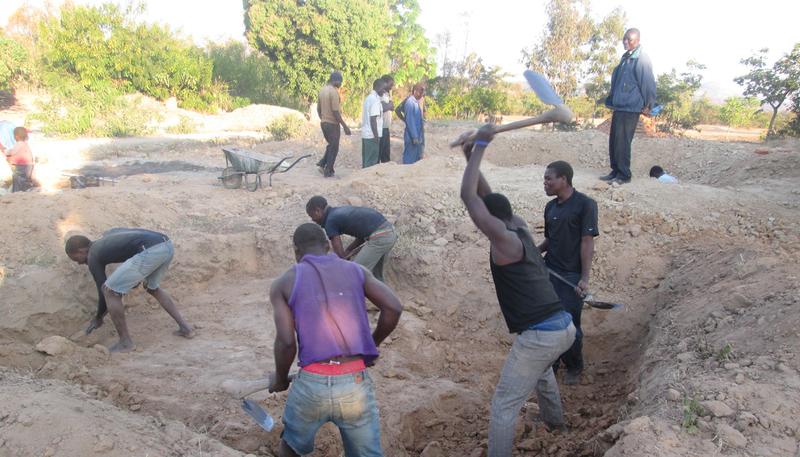 To make this happen, we teamed up with students and their parents to build the toilets. Here’s what it took. Find the right spot for the new loos. 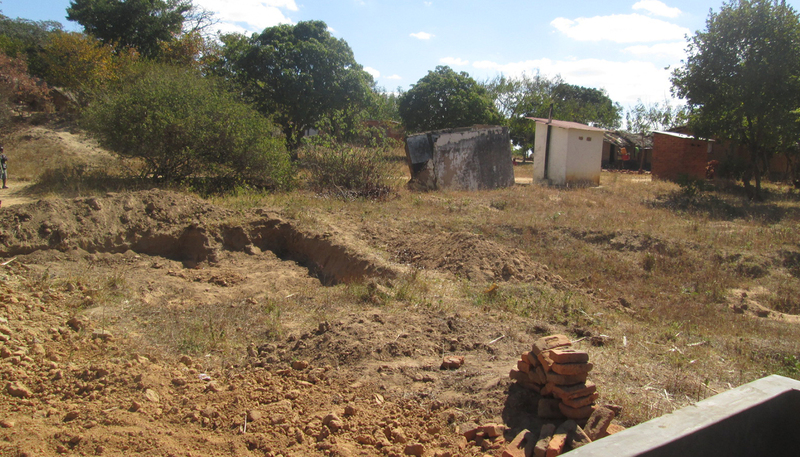 In the photo you can see three rickety old toilet buildings that the students shared. Start digging! Tough work in the hard packed earth. The pit is complete so now we line it with bricks. 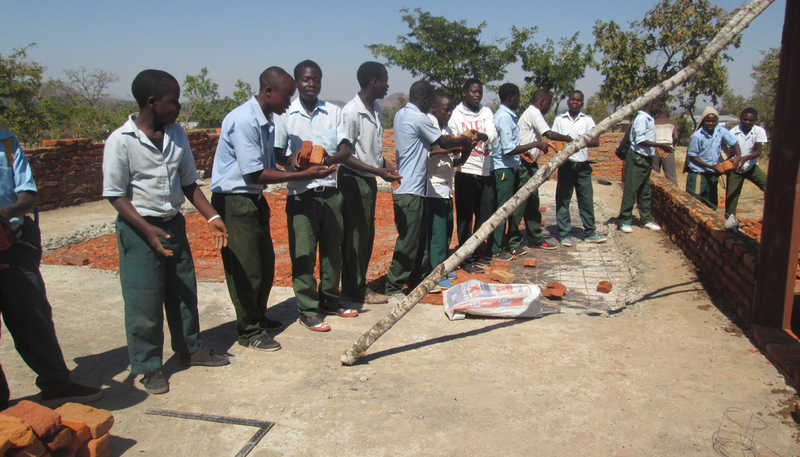 Students hard at work, creating a human chain to get the heavy bricks to the pit. The hard working team lining the rest of the pit, getting close now. 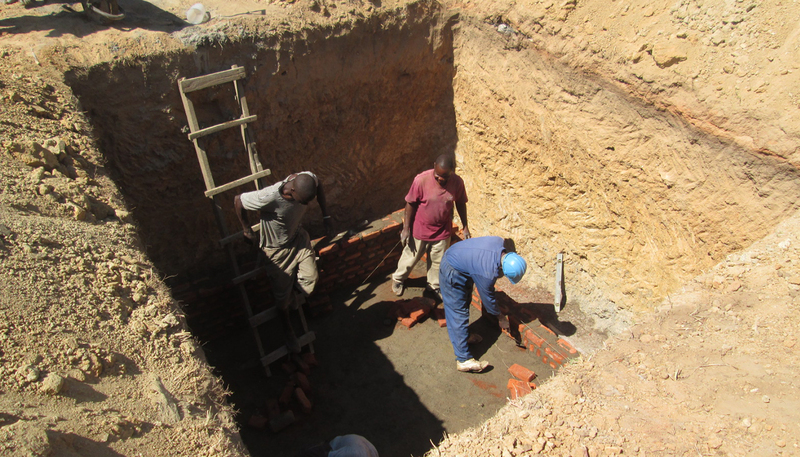 These toilets are nearly finished and have been made possible through generous Kiwis. You’re helping to keep girls in school, so they can get an education and have freedom to choose their future. Thank you from the girls in Chigodi!